My name is Scott Perry and I am currently a junior accounting major at Texas A&M University. Throughout college I have maintained a consistently high GPR, which currently sits around a 3.7. I have also been involved in many organizations, both on and off campus. But instead of droning on about myself, I prefer to tell you about my plans for the future, what I hope to accomplish, and how you can help. The biggest reason I am applying is simply because there isn’t much assistance out there for trips that aren’t giving you college credit. I truly believe that my experiences this upcoming will be life changing, and the Globetrotter Grant will be an invaluable piece to the puzzle if I am able to receive it. This summer I plan on spending the entire 3 months abroad in Spanish-speaking countries. I plan on flying out of the United States on May 20 and returning in the beginning of August in time for the start of the fall semester. I have plans to travel through 3 separate programs and trips. 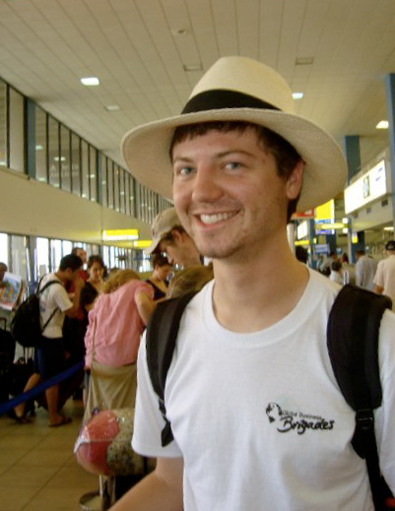 These three trips include an internship, a backpacking trip, and a volunteer project. One of the main reasons for these three opportunities is to increase my Spanish-speaking abilities. It is a life goal of mine to become fluent in at least one other language, and Spanish is a language I have come to love and want to be fluent in. In addition, each specific part of the trip will have its own reasons and benefits that I will discuss below. One special comment I would also like to make is that in my spare time I enjoying dabbling in photography. These travels and subsequent events will be well documented and presented upon my return. In addition, I have always kept a log during my previous travels, which will be a perfect resource to use upon my return to assist me in my project report. The first part of my journey will take me to Santo Domingo, Dominican Republic. I have already been selected for an internship through the L.T. Jordan Institute at Texas A&M University. This program gives me the opportunity to work in an international environment for 5 weeks this summer. Although all parts of the internship plans are not quite complete, it looks like I will be working with a non-profit organization … most likely UNICEF or Save the Children. I am very excited about this experience because I plan on going into the international development field as a career, and this would be an awesome way to gain valuable experience in the actual environment. In addition, I will be able to travel throughout various parts of the Dominican Republic and enjoy the culture and beautiful surroundings. 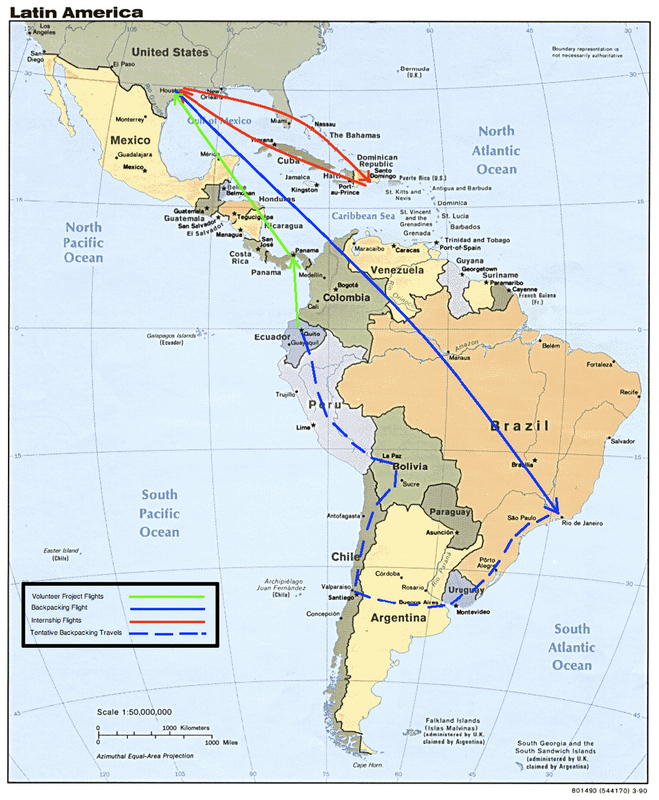 The second part of my trip would be a backpacking trip through several South American countries. I would fly into Rio de Janeiro, Brazil to start this adventure with a few close friends. This backpacking trip will serve several purposes. First, it will serve as a way to delve into the cultures of South America and truly practice my Spanish in a practical manner on a daily basis. Of the friends going, I would say I have the best working knowledge of the language, and as such would be in charge of conversing with people while down there. Second, this time will also be used as research. As I mentioned earlier, I hope to go into the field of international development, however my business background has given me an entrepreneurial spirit that I wish to pursue as well. While backpacking through South America I hope to learn not only about the culture, the languages, and the history, but I also want to learn about their needs and problems. My goal is that through this research I can discover a need or find an idea of some business to start, some organization to form, or something along those lines to embark upon when I get back to the United States. This could be anything from helping to build schools, to donating certain needed items, to organizing more English language programs. It will all depend on what my research shows me. Third, this part of the trip will be a very freeing experience. I hope to gain a lot of independence, confidence, and personal insight through the various obstacles and challenges that await me in South America. The final part of my trip will be a volunteer trip to Panama through a student organization on the Texas A&M University campus. The organization is known as Global Business Brigades. I have traveled once with this organization already and the experience was truly remarkable. 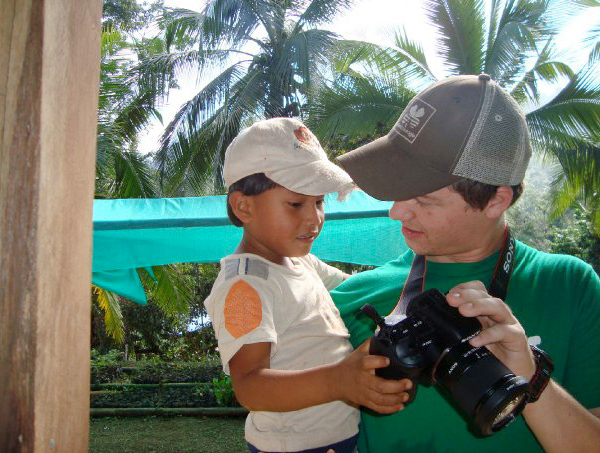 During our week in Panama, we would be following up with a micro-business we started helping during our last trip. We lived in an indigenous community that currently harvests cacao. During our first stay we taught them basic business skills in accounting, marketing, and management. We also learned about the processes of their business and the different products they offered, and subsequently gave them advice regarding possible changes to help improve efficiencies and make things simpler. We left them with enough advice to get started and to begin certification to legally sell their products. During this next trip we would be attacking an actual plan of action on how to start marketing the products in the local area. The organization wants to sell a chocolate product, dresses, woven bags, and other small items. In addition, they hope to start bringing in tourism to their community. This will be a major topic of discussion during our next trip. It is a great way to perfect my business vocabulary in Spanish, and also teaches me a lot about consulting for micro-enterprises. Learning to work in this culture and with micro-businesses excites me so much because this is exactly what I see myself doing in the future. See certain attractions of global significance including Iguaçu Falls, Patagonia, Macchu Picchu, etc. I appreciate your time and energy in considering my application. I truly hope that you offer me the chance of a lifetime by assisting me in my goals for this summer. I hope that one day I am able to give back and assist other students trying to follow their passions as well. Thank you! 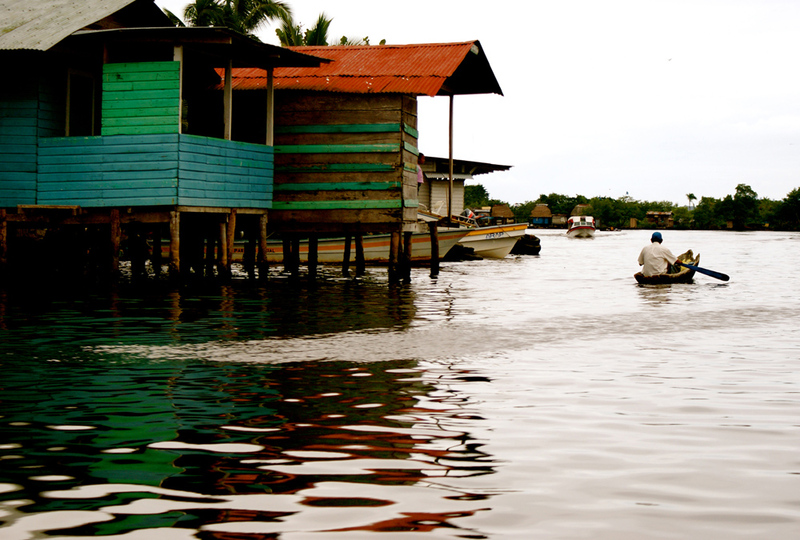 *Dates subject to small changes based on the official dates for the Panama trip in August. The brigade will be between the second summer session of classes at A&M and the beginning of the fall semester, however these dates are not yet known.